This NASA illustration shows TESS in front of a lava planet orbiting its host star. In addition to helping find new planets, TESS will help Iowa State's Steve Kawaler and other astronomers study stars. Larger image. Credits: NASA/Goddard Space Flight Center. AMES, Iowa – Steve Kawaler is heading back to Florida to witness the launch of another NASA spacecraft that will search for planets beyond our solar system. There will be much for Kawaler to see at the launch scheduled for the evening of April 16: the firing of a SpaceX Falcon 9 rocket, the astrophysicists from the Massachusetts Institute of Technology leading the project and the NASA crew responsible for the Transiting Exoplanet Survey Satellite (TESS). He’ll also be joined by his young great-nephew, who’s hooked on all things space. If all goes well, the Iowa State University professor of physics and astronomy expects to be back in his classroom the next afternoon with some new stories for his students. And, when the first TESS data are released just a few months after launch, Kawaler expects it won’t be long before he and other astronomers who study stars will find something unexpected. “I’m sure there will be several surprises that challenge our current ideas about planetary systems – just like the discovery of planets orbiting binary stars by NASA’s Kepler,” he said, referring to another planet-hunting mission that launched in March 2009. Kawaler helped lead the Kepler Asteroseismic Science Consortium and witnessed that mission’s launch from Cape Canaveral Air Force Station. Now, he’s on the board of the TESS Asteroseismic Science Consortium, a group led by Jørgen Christensen-Dalsgaard of Aarhus University in Denmark. 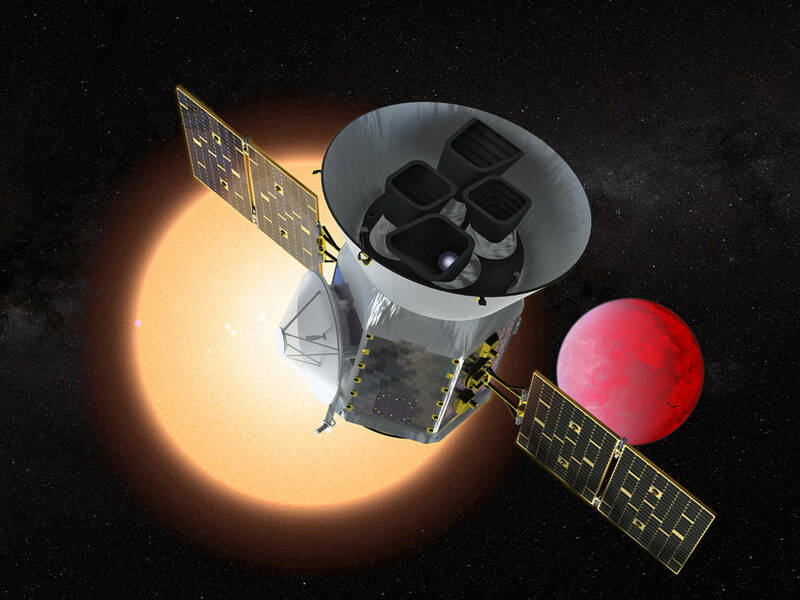 TESS’s primary objective is to find new exoplanets – planets beyond our solar system – that orbit bright, nearby stars by imaging strips of the sky as it completes a long, elliptical orbit of Earth. TESS – unlike Kepler, which focused on one region of the galaxy – will image 85 percent of the sky over the next two years. The idea is to find tiny dips of light as planets pass in front of their host stars. Astronomers call the dips transits. Once transits are detected by TESS, follow-up observations from ground and space telescopes will confirm planet discoveries and reveal more details about the planets. For example, are they rocky like Earth? What kinds of atmospheres do they have? Could any support life? And while Kawaler said he’s excited to see TESS find what is expected to be thousands of planets, his scientific goals for the mission involve all those stars that TESS will record. Kawaler is especially interested in learning more about white dwarfs – “they’re pulsating, rotating, planet-eating stars,” he said. In some 4 or 5 billion years, after it grows into a red giant and then sheds half of its mass, our sun will be a white dwarf. A dream discovery would be to find an earth-sized planet that has survived the life cycle of its star and is orbiting a white dwarf. Astronomers have never found such a planet. So Kawaler will soon be off to watch as TESS is launched – and a new chapter of star and exoplanet studies is launched with it. While he’s at it, he’s really hoping to be lucky enough to see the Falcon 9’s first stage return safely to Earth with a soft landing. Iowa State University's Steve Kawaler is heading back to Cape Canaveral this month to witness the launch of another planet-hunting spacecraft. This one, called TESS, will image 85 percent of the sky over the next two years, helping astronomers find planets beyond our solar system. Kawaler and other astronomers will also use TESS data to study stars.